Virtually everything in MMORPG Tycoon 2 is rendering using custom rendering code. Which means that almost none of it is testing the standard sprite or model systems (exception: GUI elements). Which means that it’s all a little bit prone to surprising errors when I’ve made a mistake. But when it’s working, it’s very fast. 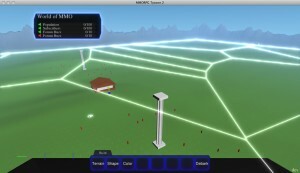 3 May, 2011 in Full Games, MMORPG Tycoon.